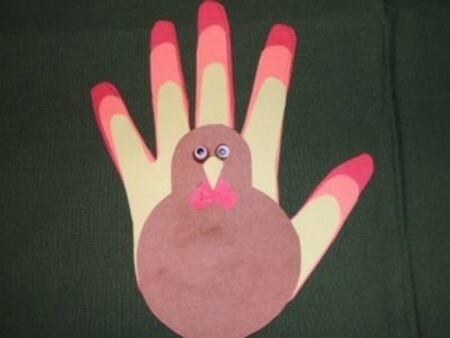 Hand print turkeys are a fun craft to make with your children. Whether you use paper, paint, or ink, your turkeys will make perfect Thanksgiving decorations. 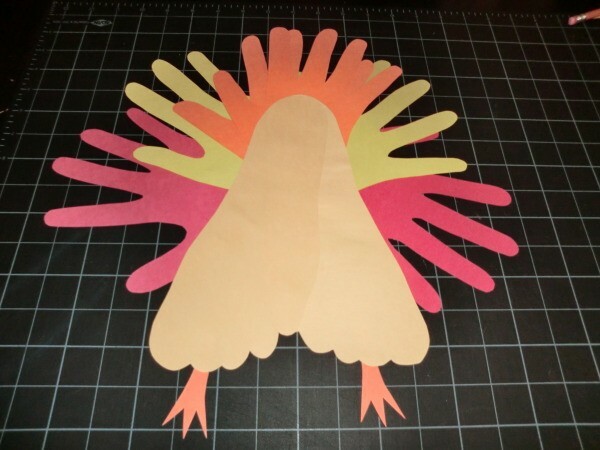 This is a guide about making hand print turkeys. 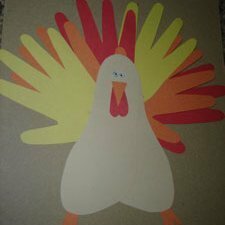 These hand print turkeys are a great craft to make with your children. Made with tracings of your kids' hands and feet, they can be a keepsake to hold on to. 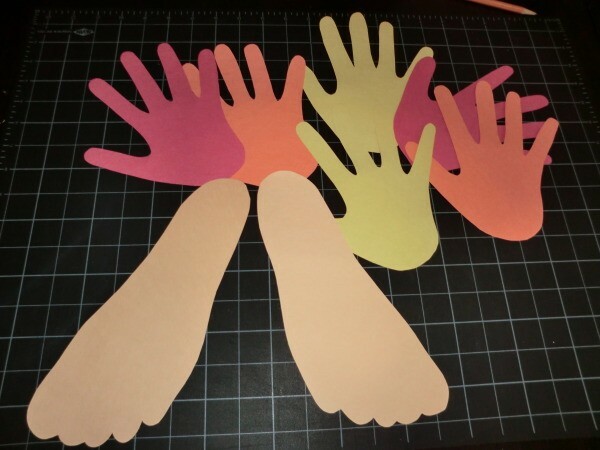 Trace around both of your child's feet on tan construction paper. 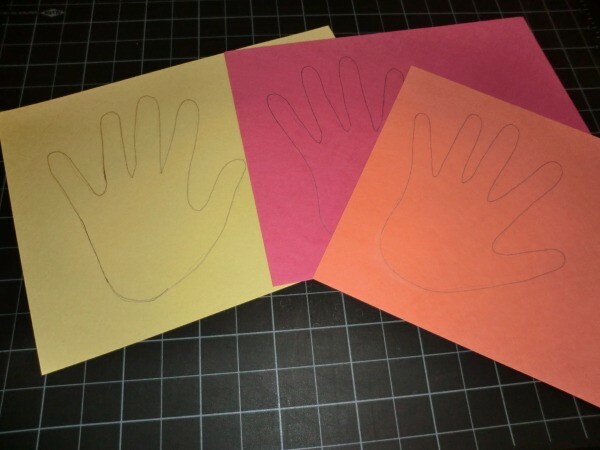 Trace around your child's hand on the yellow, red, and orange construction paper. You need 2 in each color. Cut out all of your tracings. 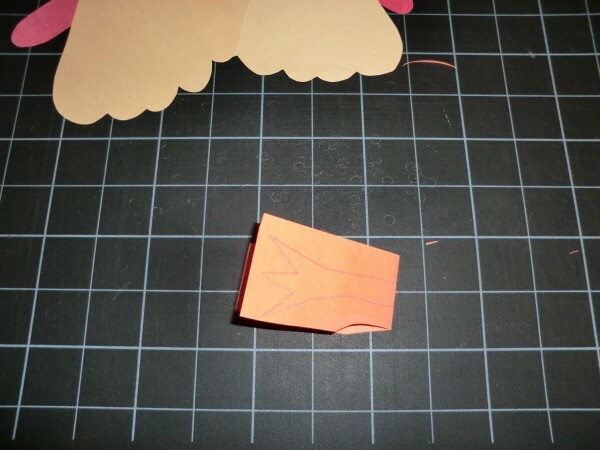 Overlap your feet tracings at the heel and glue together to create the turkey's body. If you don't erase your pencil lines, ensure that they are on the back of both tracings. Turn the "body" over so that your pencils lines are up. Begin arranging your hand tracings along the edge of his body to form his tail. Again, make sure the pencil lines are facing you so that they don't show on the front. Glue the feathers in place on the back of the body. Then turn him over. On a scrap of orange paper, draw two simple feet. 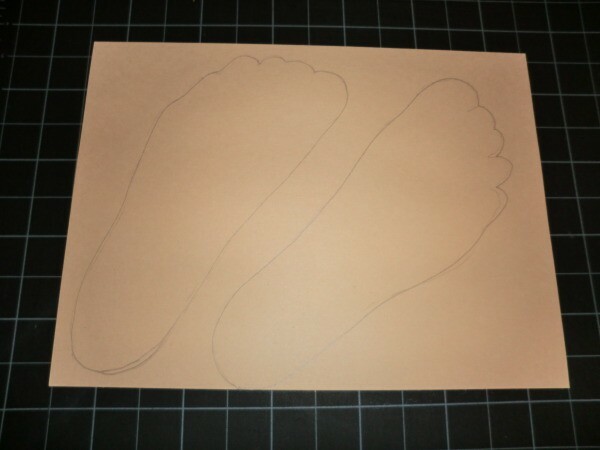 You can draw one on a folded piece of paper to ensure that the feet look the same once they are cut out. Cut out the feet and glue them to the bottom of his body. On a scrap of yellow paper, draw a triangle for his beak. Cut out. On a scrap of red paper, draw a thin, long oval, for his wobble. Glue the wobble to his beak. Glue two google eyes onto your turkey. 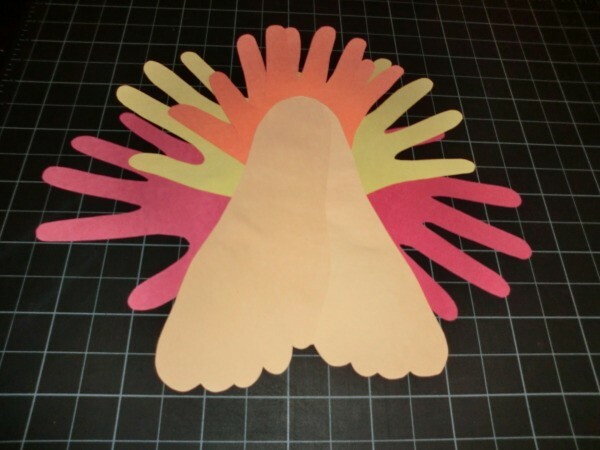 This is a cute little turkey hand that is great and fun for all children to make. Let your child choose what color paint they would like to use. Place some on a paper plate, and dip their hand in it. Then for the last step place one googly eye onto the thumb part of the hand on the paper. 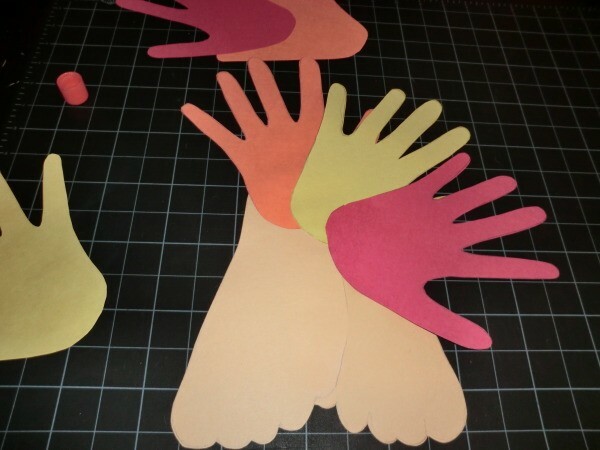 The kids will love making these turkeys from their handprints, and very few supplies are needed. 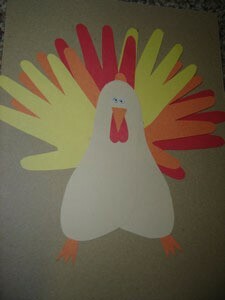 They can be used for decorations or glued to a piece of card stock to create Thanksgiving cards for family and friends. 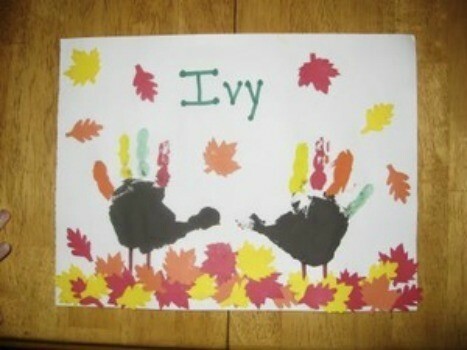 Use paint to make this handprint turkey instead of tracing. Add a few details to the turkey and some fall leaves and you have a beautiful work of art to display at Thanksgiving time. 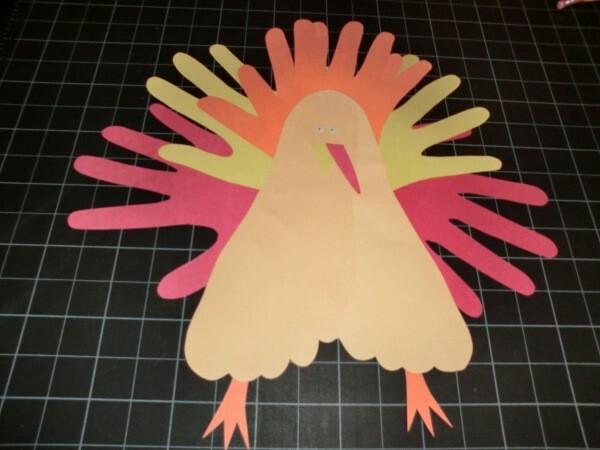 Easy to make paper turkey that is perfect for decorating your home or to give as a gift. It uses tracings of your child's hands and feet creating a great keepsake that can be kept well beyond this holiday season!